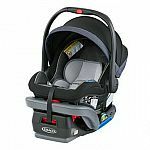 Graco has 20% Off Infant Car Seats, Strollers & Travel Systems w/ Code "INFANTTRAVEL". Shipping is free on $50+. Customer service of the Graco official online store is garbage.